"City have won their last eight Premier League matches, and Palace's record at Selhurst Park isn't as strong as many people seem to think." Having saved the team from the drop in very difficult circumstances last season, Crystal Palace boss Roy Hodgson has guided the Eagles to safety in more serene fashion this term. A 1-0 victory at Newcastle United took the south Londoners onto 39 points, and only an extraordinary turn of events would see them demoted. Palace's next three games are against Manchester City, Arsenal and Everton, and those encounters offer an opportunity for the club's players to truly test themselves. However, having pushed to reach safety, can intensity be maintained, with little to really compete for? Hodgson's side has shown it can raise itself against the big boys - they won 3-2 at the Etihad against this weekend's opponents, and knocked Tottenham out of the FA Cup, but such successes have failed to spark a more sustained improvement. For all the talk of Selhurst Park being a formidable fortress with an intimidating atmosphere, the stats don't support that viewpoint. Palace have won just two of their last eight home matches in the league, and those victories were against the bottom two, Fulham and Huddersfield Town. Both of those sides have proven to be significantly worse than the rest of the division. Palace have lost four of their last seven top-flight matches on home soil, and have lost eight times at Selhurst in this PL season. The hosts are still without injured centre-back Mamadou Sakho, while fellow defender James Tomkins is struggling with a groin strain. Will pressure of quadruple hunt cause City to falter? 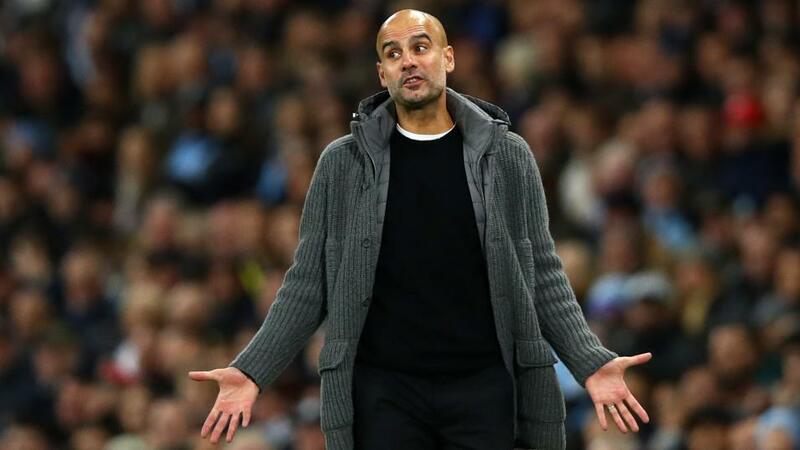 When Pep Guardiola says that every game for Manchester City is like a final, it's tempting to dismiss that statement as a well-worn cliché, but in terms of intensity it isn't far from the truth. City are chasing an unprecedented quadruple, and the success or failure of that endeavour is on a knife-edge every few days. One trophy is secure, another domestic final has been reached, and one of the most captivating title races in English football history looks set to go the distance. Then of course there is Guardiola's obsession, the quest for the holy grail that is the Champions League. It is a trophy that has eluded the Catalan coach since 2011, and no matter how often he tries to downplay his team's chances, his desire to bring that famous piece of silverware to the blue half of Manchester oozes from every pore. That desire has caused him to overthink big Champions League ties in the past, and he was perhaps guilty of second-guessing ahead of the 1-0 defeat at Tottenham on Tuesday, as he surprisingly omitted Kevin De Bruyne and Leroy Sane from his starting eleven in favour of a more robust approach. For all of his protests to the contrary, that defeat will have felt like a hammer blow. All of that UCL angst must be parked for now, because City are being given no respite by a Liverpool team that has flirted with disaster in recent games, only to dig out precious wins time after time. That excellence is being matched by the champions, who have won their last eight top-flight games, scoring 20 goals and conceding just three in the process. Bernardo Silva and Alex Zinchenko are close to full fitness after injury, while both Sane and De Bruyne may start after brief cameos in midweek. Sergio Aguero may be rested in favour of Gabriel Jesus. While Crystal Palace showed their quality in the reverse fixture, they have lacked consistency at home, and there is bound to be a dip in intensity now that safety has effectively been secured. Given City's defeat at Tottenham in the UCL, it's easy to forget how relentlessly excellent they have been in the league, and it's only Liverpool's incredible consistency that has kept the champions from carving out a big lead at the top of the standings. City are trading at [1.33] to win this, and I'll boost those odds to [1.98] by backing them -1.5 on the Asian Handicap. Six of their last eight Premier League matches have seen them win by at least two goals, including the last three. These teams shared out five goals in their last meeting, and with Palace missing key defenders and leaking at least two goals in four of their last seven matches, I'm tempted by Over 3.5 Goals at [2.44]. That has paid out in three of Palace's last eight games, and three of City's last seven. Sane will have been hugely disappointed to have missed out on most of that game at Tottenham, and if he starts at Selhurst Park, we could see him deliver a personal backlash. The German international has scored in three of his last six games for club and country, including the most recent Premier League match against Cardiff. I'll back him to score here at [2.68], but keep an eye on the team news.